Are You Too Big for Your Pot? I didn’t hear a Bang. I didn’t see the pot Fall. But when I looked from the upstairs bedroom window, I saw shiny red chards of pottery on the patio floor. I really liked that red pot and now it was in pieces. There was no wind. I was not aware that a storm had come through during the night. Still the pot had apparently fallen from its perch on the maroon planter, three feet above the concrete. Now it was smashed to bits on the patio. Encased within the pottery was a plastic inner pot from which roots were dangling. The plant was apparently pot-bound, “longing to break free”! It doesn’t take a genius to see these tall plants had outgrown their tiny pot: roots bursting through the pot hole. My solution? Re-pot the plant. Add fertile soil. Use a bigger pot. 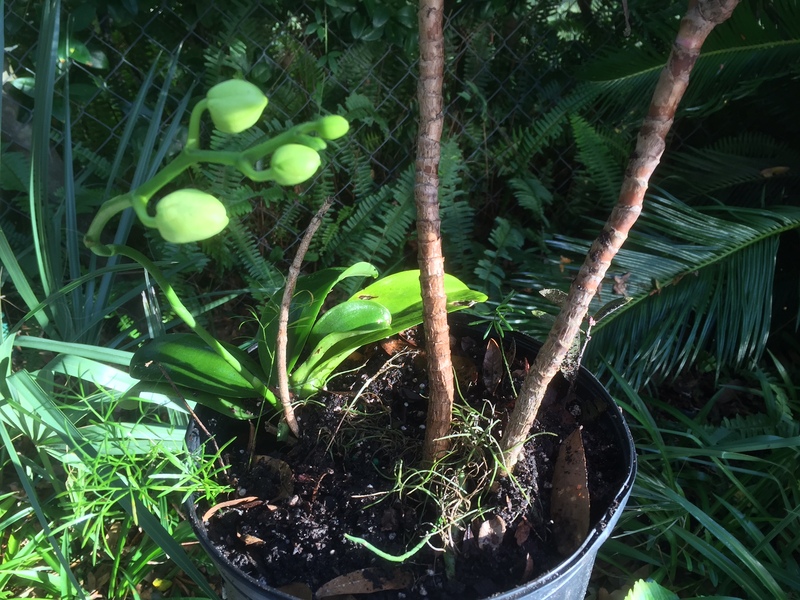 I heard my orchid, a rare re-bloom, sing morning praises. Even cracks have a function: they can let the light in. You don’t have to be perfect to be beautiful. What’s broken in you can be a metaphor for human aspiration. Your flaw can show effort and growth. When you are pot-bound, move into a bigger pot. My blog friend writer Dorothy Sander recently published a post with a poem “Finding Her Here” exalting our cracked and broken parts. You can find encouragement by reading it here. What are your thoughts about the broken pot? Is there an explanation I may be overlooking, either literally or metaphorically? Have you outgrown the pot you are planted in? Or, when you outgrew your “pot,” how did you find a bigger one? Coming next: Are you ready for spring? Next postAre You Ready for Spring? I love this post–how you took an every day object (with a bit of a mystery) and turned it into a sort of metaphysical exploration. I have no explanation for the actual pot. Things fall–like that stove hood of mine. Ghosts? 🙂 As for outgrowing pots, you gave me something to think about. I’m wondering if my sudden need to write poetry is part of a outgrowing a pot and needing to explore something bigger? Sometimes accidents happen. And then serendipity if I’m observant. Thank you for noticing, Merril. I’ve admired your recent poetic forms. Maybe writing encyclopedias, test questions, and other prose has pushed you over an edge (not an accident!) and you’ve blossomed lyrically. Thank you for the link; I’ll check it out. Wonderful post, Marian! I believe we should always be outgrowing our pot, that’s a sign of a fruitful life. 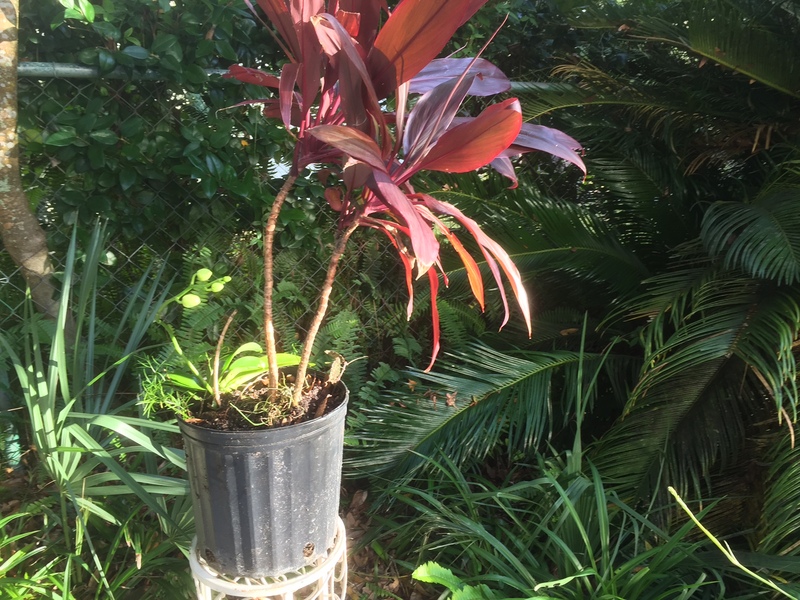 I’m sorry about your pretty red pot. Since then, another favorite pots took a tumble from an ornamental stand on our porch. I think I’m supposed to learn not to get too attached to pretty things. Or something else, maybe. I love the new unbreakable basket. 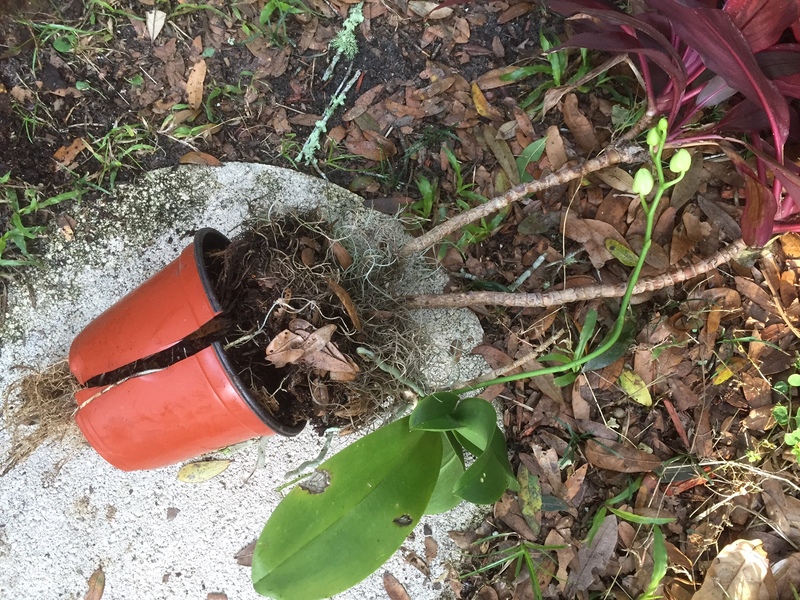 I think the plant wanted a bigger pot and the only way it could get your attention was to fall and break the pot it was in. Plants can be like that. So can life. Sometimes we need something drastic to happen for us to realize we need to make a change. A timely post as I just inherited some new plant pots and spent yesterday planting flowers in them on my patio. Brightened things up considerably. Abrazos from Spain!! Yes, plants can act human sometimes and vice versa – I suppose it’s part of the natural order of things. I can picture you placing pretty burst of color on your patio. Hugs back to you, Darlene. I’m going with a theory of a big huge lizard theory scampering across your patio in the middle of the night. It’s Florida, right? As to your underlying theme, it is a little discomforting though to think of outgrowing our pots, if we take that too literally. As we change and grow, hopefully we don’t outgrow others–friends, spouses, family. However, pruning, repotting or repositioning ourselves is a healthy way to think of it perhaps. I was thinking only of the healthy aspects though there is the other. I hadn’t thought of a lizard as the culprit, but it could have been. Maybe a stray cat? A raccoon? Aaargh, I’d already typed up most of my reply, went back to look at the pretty white plant (to identify if it actually was an orchid as I thought), and managed to break the link and erase my response. Never mind. What beautiful plants Marian. I would have platzed on the spot if my pot with beautiful plant had crashed. But I agree, all was not lost, they survived so beautifully! I love Leonard Cohen’s rendition of There’s a Crack a crack in everything – one of my most favourite ballady songs! I love watching out for cracks on the sidewalk when I go walking – it keeps my mind and body agile. All the previous comments voice my thoughts on the value of cracks. And yours too about not getting too attached to pretty things! Thank you Marian! I actually posted a reply to you on my phone when I got back from a walk this evening to say how I especially noted the cracks this time round while reflecting on yours, but my cell phone response hasn’t appeared – so thank you again! Cellphones are quirky that way. They are not as convenient or reliable as laptops, but sometimes my smartphone is all I have. I SO sympathize! Marian, I love this post and the metaphor of breaking loose and needing to bloom. It reminds me of the quote by Rumi, “The wound(crack) is the place where the light can enter.” Sometimes, we bloom where we are planted and sometimes we need to be repotted! Seeing your quote by Rumi (on a post?) may have been part of the impetus for this one. Your observation about staying put or expanding into a new “pot” requires wisdom, something we gain as we go through the various cycles. 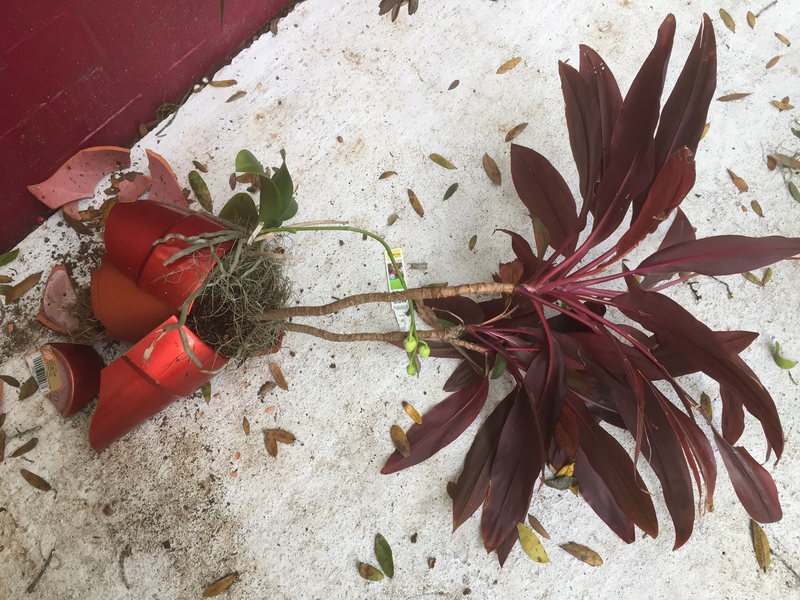 I am glad the plant wasn’t totally damaged, as the pot can easily be replaced. It might have been top heavy or maybe a cat or bird pushed it when going about their business. Maybe you were put on earth to roam, and that’s just fine. You are picking up so many experiences that many of us more homebound may miss. This is a place you can express just exactly how you feel, and most of the time you mirror others’ sentiments. Thanks, Fatima. I love the three lessons, Marian, especially #3. It reminds me of the Chambered Nautilus, starting as a tiny grain. Then as it grows, it has to get out of it’s space and form a larger one, and then a larger one, and so on. It’s in most danger of probably being washed away as it leaves one space to attach and form the bigger one, yet if it stays in the too-small space it will surely die. A grim sequence but a stunning outcome as a Chambered Nautilus. So many reminders that we must stretch and grow. Great lessons. I do have a begonia that’s outgrown its pot 🙂 The Chambered Nautilus is my most favorite poem. If we don’t change we stop growing. I love begonias too because I can plant them in shade or perch them on a window sill. I’m glad Marylin’s reminder of the Holmes’ poem prompted a pleasant memory for you. We share good company. Dorothy Sander is my blog friend, too. Wasabi and Wabi-sabi, close in sound but totally different in meaning. I remember an Asian student telling me about the special sauce he enjoyed and thanks to you my readers and I get a mini-tutorial on Wabi-sabi. Thank you! Clipping back our roots hurts and discourages growth. I see a mini-lecture forming here, thanks to your nuanced wisdom added to previous comments. Yes, my garden is wild and green, and probably more so since I’ve been away from my Florida roots for more than a week. Oh, this reminds me of my Jade plant I raised from a tiny plant to a huge beautiful plant. But I’ll never forget the day I thought I had killed it. I decided it needed to be in a larger pot! 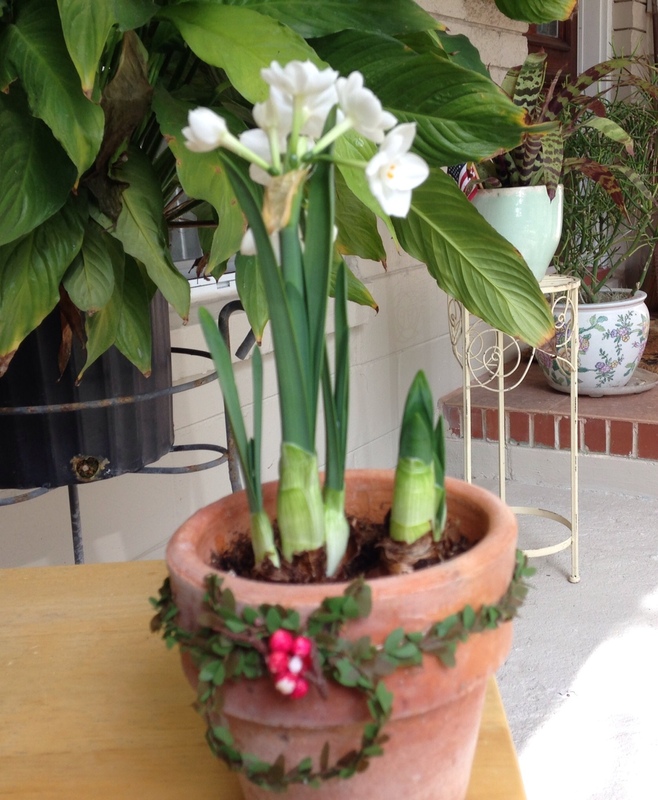 I carefully transplanted it and watered it. Then I left until several hours later. Oh my goodness…every frond on the plant was bowing down! It looked like it was crying! What had I done? I felt so sad. But I was busy and had to just leave it. Several hours later I went to check it, but still not knowing what I would do with it. Surprise! It was standing up again and smiling! It was beautiful! It was like it had gone through a shock treatment! When we moved I was sad to sell it in my yard sale but I had no place for it. I wish I had a picture of it! Thanks for the reminder of my beautiful Jade plant. I love your story, Anita. Sometimes I panic too and think all is lost and then Voila! I’m so glad this post recalls pleasant memories. Lovely post. You do a great job of transforming the daily anecdote into a philosophical meditation. I look forward to the ways you transform this experience into words and pictures on your blog and beyond. Lovely metaphor for life too! That’s the point really. Thank you! Thank goodness you were talking about pots that have to do with plants. I was afraid I’d have to get a bigger pants size and add another notch to my belt ! Really? Melodie, the 4th commenter above, alluded to the same thing. I guess it’s called innuendo! You mean you are leaving Canada – for good? Nature has a way of telling you doesn’t it . 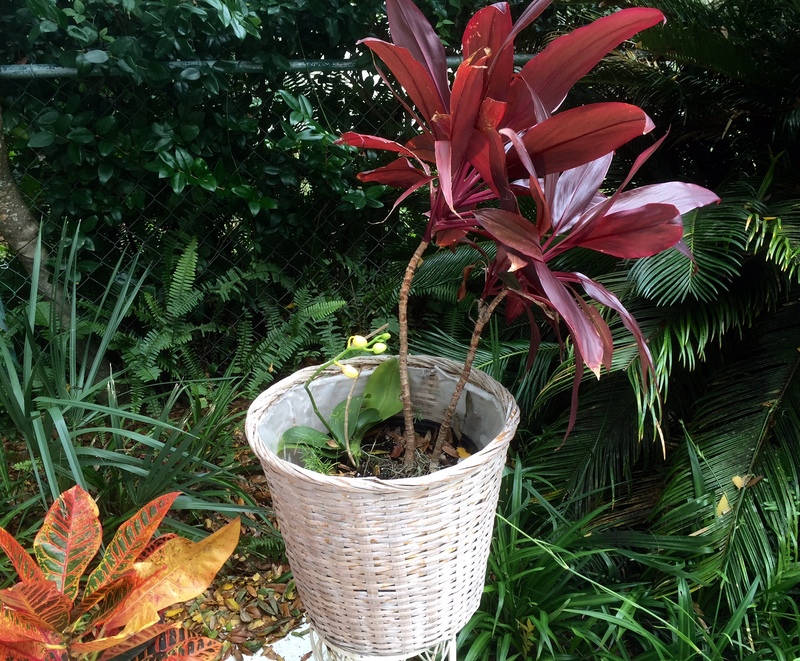 Just look how happy your plant looks in its new and very comfortable home …I can almost see it smiling . I firmly believe in cracks Marian …I have a few 😍 It’s amazing the light that shines from them if only we ‘d take the time to look. Yesterday I spent much of the day looking for the first snow drops of the season …( I know you think I have nothing better to do ) hey and I found them between the roots of a tree in the woods down to the beach …you could say within the cracks . I like the cracks where humor always comes through in your comments, Cherry. I love snowdrops. Last week in Pennsylvania we spied aconite, clusters of little yellow blossoms peeking out under the snow. Thank you, joy girl! Oh, my gosh, you are quick, Pamela. Thank you for the follow today. I can see from poking around on your website you are built like the chambered nautilus, an image Marylin (above) suggested. Do take that as a compliment: you’ll never be pot-bound! It think it fell be a use it had become top heavy which is a shame, seeing as you liked the pot so much. Maybe you could used the broken pieces to make a mosaic? The mosaic idea is a great one. I wish I had given the broken pieces to my son who teaches middle school art. They could have been made into something beautiful – the bright, satiny lustre would have a second life. Too late! Then I googled your lyrics and they were in “Anthem.” So I followed your link to “Dance Me to the End of Love,” and it took me to “Anthem.” As I try to figure this out, I remember these songs and these favorite lyrics. I remember lying on a blanket near the fireplace listening to Leonard Cohen with Vic when we were first married. I love that song. Maybe the whole album is called “Dance Me to the End of Love”? I didn’t think I’d overgrown my pot, but a storm came through and busted it into bits. I’m still trying to find a comfortable new pot. I was looking for the line “There’s a crack in everything” and you were focused on the Leonard Cohen love song you and Vic loved so much. A moment ago I went into iTunes with inconclusive results. Yet I’m glad we both ended up with what we were looking for. Maybe ASCAP, which regulates musical license has something to do with it. Or as you suggest, Dance Me to the End of Love is the title for the whole album. Anyway, what matters is that you heard that magical song again and I made my point with the lines about cracks and light though through different routes. May you have a fruitful search for a new pot. Mine of plastic and basket weave will work only out of the rain. Here’s to the perfect pot, Elaine! I hope you can love my obsession and laugh at me. I love your piece, but my little mind had to sort this out. “Dance Me to the End of Love” was on a 1984 Album called “Various Positions” and didn’t have the lyrics about the crack in everything. Those lyrics are from a song called “Anthem” in an album called “The Future” released in 1992. Interesting to read what Cohen says about writing “Anthem” and how difficult it was. Mystery solved, and I thought more about what these songs mean to me. Especially interesting because I can only hear them in my head. I’m smiling (not laughing) because I understand your need to know your song’s origins. I felt the same way when I obsessively tried to trace the music/lyrics from La Strada, the theme song from a musical by Lionel Bart. Cliff and I fell in love with the melody and with each other, and I just HAD to get it on my iPod.